Emerging markets face newer challenges in the form of inward looking policies of protectionism and increased geopolitical tension, Finance Minister Arun Jaitley said on 1 April, 2017 as he pegged India's GDP growth at 7.7 per cent in 2018. Speaking at the second annual meeting of the New Development Bank (NDB), Jaitley said global growth is moving upwards and is expected to improve further in 2017-18. "Indian economy is expected to grow at 7.2 per cent in 2017 and at the rate of 7.7 per cent in 2018," he said. Jaitley said emerging market economies (EMEs) face newer challenges in the form of inward looking policies of protectionism of some economies, global financial condition, policies of the United States and increased geopolitical tension. He said India has sought USD 2 billion loans for various projects from the NDB, which is set up by the emerging nations India, China, Brazil, Russia and South Africa. "India has huge unmet infrastructure funding needs...USD 646 billion is required in next 5 years (for financing infrastructure)," Jaitley said. He said growth in emerging and developing countries is picking up and news from economies of BRICS countries is "encouraging". 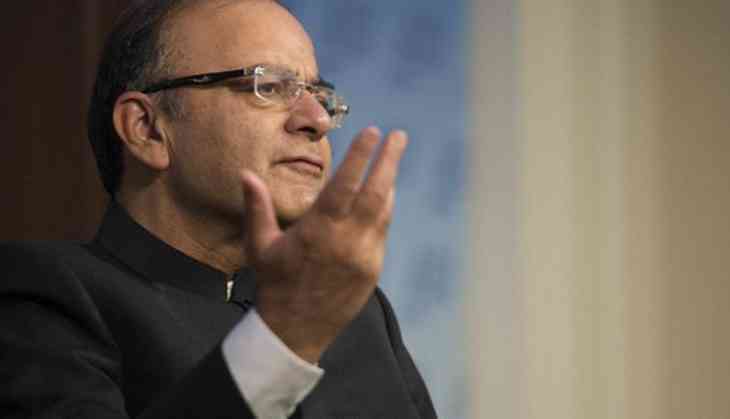 "I hope that NDB will emerge as a development bank and help in funding of emerging economies," Jaitley added.